Exactly this day, one year ago Windows 7 was released with Windows 7 RTM (June 22nd 2009). After Windows Vista failing miserably in the consumer market, Microsoft had taken a big bet on polishing the old operating system from the ground up and presenting it in a new form. Luckily, the hard work payed off and Windows 7 has gathered immense popularity and success, only after Windows XP and is being heartily welcomed by consumers. The revamped security, removing the annoying features, giving users the option to disable UAC (Users access control), the new Mac style taskbar and increased compatibility with software applications and drivers, all these factors helped to push Windows 7 deep into active consumer market. 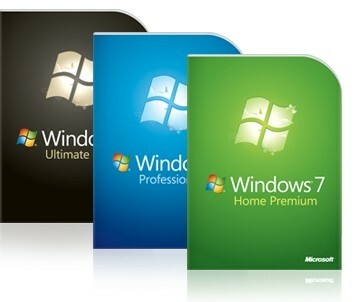 Also the success of Windows 7 has helped Microsoft to push the consumers towards 64 bit computing. Some of the areas where some bugs have been discovered in the OS, will be patched soon with Windows 7 SP1 coming sometime around early 2011. But until Microsoft lowers the prices to the level of Windows XP for the emerging markets, it will be tough for potential customers to switch to Windows 7 computing.